Why is The Check Engine Light in My Vehicle On? As you are driving along the street you notice that the check engine light has come on in your vehicle. Is it a serious problem? What is the next thing that you should do? Just because the light has come on in your vehicle, it is not an immediate reason to panic. Nor is it an immediate reason to pull off to the shoulder of the road and call for the assistance of a tow truck. 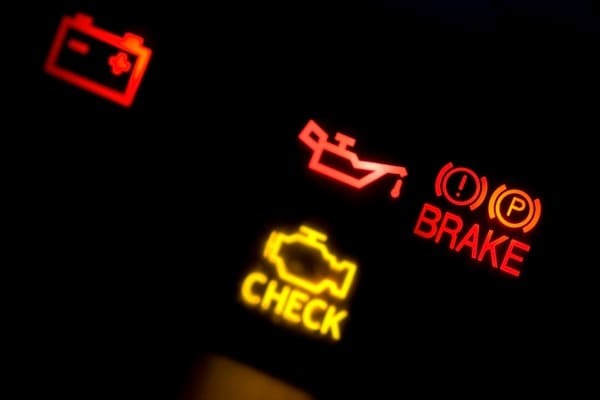 There are so many possibilities for what a lit check engine light may mean that it is impossible to determine what is wrong just by the presence of the light alone. Something as simple as a loose gas cap may be the cause. Or it could be the equally no need to panic broken oxygen sensor or engine misfire. With this being said, you should still bring your vehicle in for vehicle precision service to ensure that you will not end up with major problems later on. Especially during the winter months, you want to be sure that your vehicle will not just stop running due to issues with the check engine light.